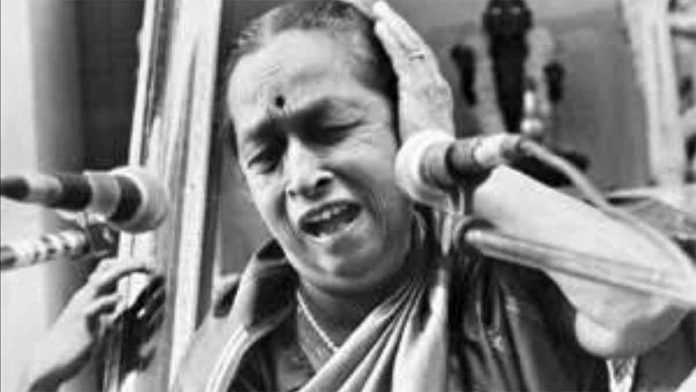 A woman from a socially backward community, classical musician Dr Gangubai Hangal became one of the greats of Hindustani classical music, writes her grandson on her 106th birth anniversary. The twin city of Hubballi-Dharwad is world renowned for its glorious tradition of Hindustani classical music. In fact, the number of celebrated musical geniuses who hail from this area is astounding. But Dr Gangubai Hangal, a Padma Vibhushan awardee, is possibly the most well-known of them all. The popular Marathi writer and humorist P.L. Deshpande once said, “After all what is Hubballi known for but Siddharudh Math (a nationally renowned Spiritual ashram) and Gangubai Hangal.” If Hubballi-Dharwad is on the world map, it is largely due to these two. A small-town, uneducated woman belonging to a socially backward community in pre-independent India, Gangubai went on to become one of the greats of Hindustani classical music. Gangubai was born to a family of traditional musicians in Dharwad, and learnt the craft under the tutelage of the legendary Pandit Sawai Gandharva. In 1924, she had the privilege of singing the welcome song at the inauguration of the Indian Congress session in front of Mahatma Gandhi, Jawaharlal Nehru, Sarojini Naidu and Maulana Abul Kalam Azad in Belgaum. Beginning from 1928, she sang at the Dover Lane Music Conference and the All Bengal Music Festival in Kolkata continuously for 15 years. Back then, it was taboo for women of respectable families to take up professional singing. Men, the khan sahibs and the pandits had a stranglehold on the classical music stage. Gangubai had a big hand in loosening this stranglehold along with Kesarbai Kerkar, Zohrabai Agrewali, Rasoolanbai etc. Such were her achievements that she enjoys the rare, if not only, distinction of being honoured by nine prime ministers and five presidents of India. A study of Gangubai’s life and her music can never be two separate things. She was very much a child of her times even as she stood to alter the course of history. True to the Kirana stamp. Gangubai was a stringent pursuer of the sur. For her, tradition was of immense value. She stood for convention when the air of change and novelty was blowing across the country. She carried a deep reverence for the knowledge passed on by the guru. She believed new depths had to be found within the framework of tradition itself, and never outside of it. True to that belief, she never found the need to introduce any frills in her music. She sang the truth as it appeared to her. Gangubai was also a deeply spiritual person, and took up public causes actively. Whether one was a minister, celebrity or a child from the neighbourhood, anyone could walk into her house at any hour of the day. She was truly a people’s person. She had no formalities, no personal secretaries. Her rich musical legacy continues to live in numerous ways, most importantly in the form of two institutions established by the Karnataka government in her memory. The Dr Gangubai Hangal Gurukul Trust is a gurukul set up with a grant of Rs 5 crore. Sprawled across five acres on the outskirts of Hubballi run, it strictly follows the guru-shishya parampara system. The second is the Dr Gangubai Hangal Music & Performing Arts University set up in Mysuru. Students come here to learn Hindustani vocal and instrumental, Carnatic vocal and instrumental, performing arts, drama, Indian classical and folk dances. The state government has further allocated 100 acres to house the present university in a new building. The writer is the grandson of Dr Gangubai Hangal.